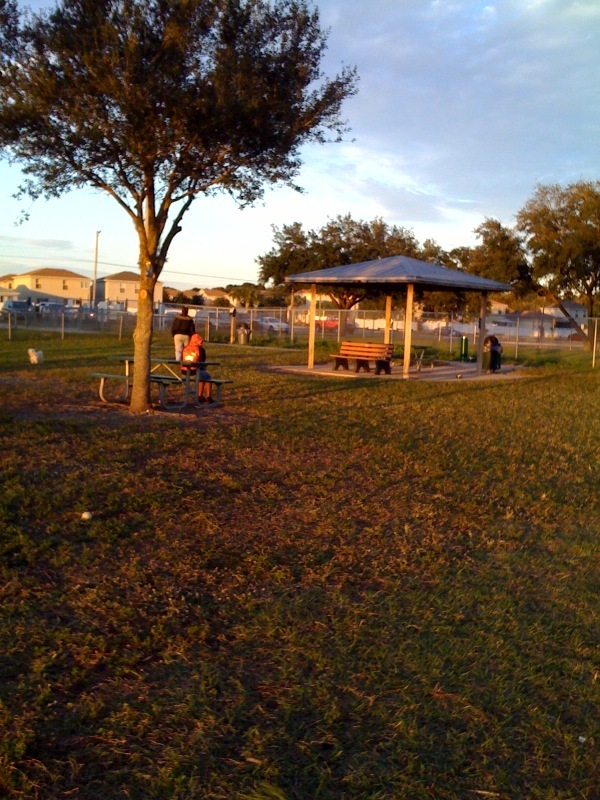 Visiting my in-laws recently in Brandon, a suburb of Tampa, Chloe and I were both happy to discover an excellent dog park in the nearby suburb of Seffner-Mango. I particularly liked it, of course, because it has an enormous small ‘n’ shy area, but it has many other positives to tell you about. It’s very large — 5 acres in total — and it’s thoroughly fenced and gated. The small dog area has its own pavilion for shade, as well as a number of grown trees. There are multiple water fountains and a kiddy pool for the dogs to splash in. Poop bags are provided, as are trashcans. The dogs who visited while we were there (and we went a couple of times) were good-natured, as were their owners. Chloe will always love the San Juan Island dog park best in the world, but the Mango Dog Park is a real contender. 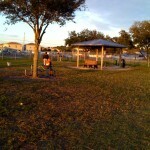 Thanks for leaving such great information behind on the dog parks you review. We scour blogs like yours for pet friendly activities so we can add them to our listings at GoPetFriendly.com. Pet fans thank you! Thanks for your review! I live in the area and will be checking it out! You’re welcome, Alexis! When you visit, let me know what you think — it’s been awhile since we were there, and I’d love an update.